24 hr. Front desk with messaging and fax service. 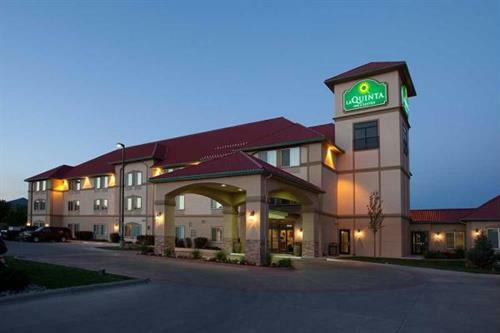 The La Quinta Inn & Suites Rifle hotel was recently named a 2013 TripAdvisor Certificate of Excellence award winner! Pamper yourself at one of the best hotels in Rifle, CO. 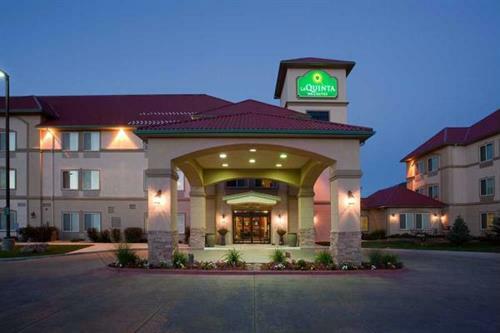 Situated among the magnificent mountain vistas, mesas and plateaus of the Colorado River Valley, the award winning La Quinta Inn & Suites R...see morefle has much to offer for both leisure and business travelers. Visitors to this hotel can take advantage of numerous amenities and countless outdoor adventures. Within minutes of the hotel, guests can enjoy golfing, whitewater rafting, skiing, snowmobiling, horseback riding, hiking, mountain biking, rock climbing, and fishing in some Colorado's top-rated gold medal fishing waters. Some favorite areas of interest include Rifle Falls and Rifle Gap State Park, Flattops Wilderness Area, Yampah Vapor Caves and Spa, Sunlight Ski Resort and the world famous Glenwood Hot Springs Pool. From Denver: follow I-70 west to exit 90, located on the left. From Grand Junction: follow I-70 east to exit 90, turn right on Taugenbaugh Blvd, then turn left on Airport Rd, look for Wapiti Ct.